My baby is breech: What happens next? 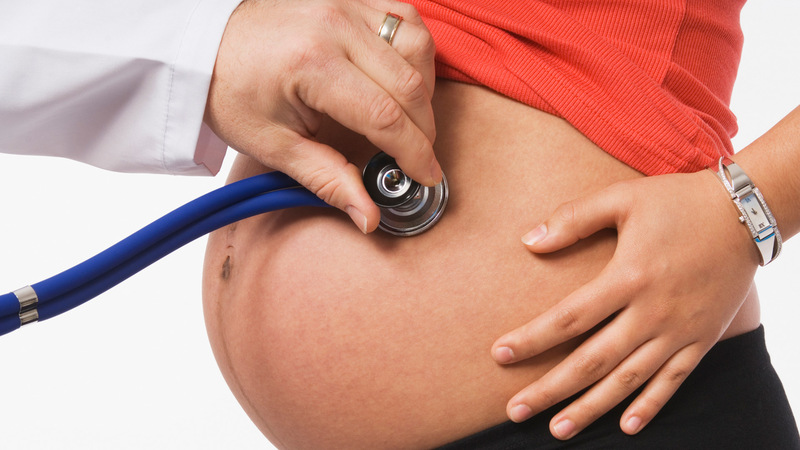 When my doctor told me that my baby was breech at 29 weeks, I took it calmly in stride. Surely, I had tons of time for her to flip head-down — right? Week after week, my baby stayed stubbornly in the head-up position. Every morning, I'd feel for her head, perched merrily up alongside of my ribs, and despair that I would be facing my first-ever C-section. I had precisely no experience with what to do with a breech baby — and for good reason. A true breech baby at full term (over 37 weeks) is only seen in about 3 to 4 percent of all pregnancies, says Dr. James A. O’Brien, M.D., FACOG, Medical Director of Inpatient Obstetrics at the Women and Infants’ Hospital of Rhode Island. In the last weeks of pregnancy, a woman's care provider will check the baby's position externally, feeling through her abdomen to determine where the baby is. If there is any doubt at all, ultrasound will be used to confirm the baby's position, explains Dr. O'Brien. My biggest concern with my breech baby was a constant anxiety that she wouldn't turn. With the risk that a woman's water could break while the baby is still in the breech position (leading to severe complications like a cord prolapse), many doctors will schedule a C-section if a baby is still breech beyond 37 weeks. However, "there’s no specific 'cut-off' time, as babies can turn at any time, but it becomes less likely as the mom goes further into the pregnancy, as the baby becomes bigger and the amount of amniotic fluid decreases," Dr. O'Brien says. Can a breech baby be turned? While Dr. O'Brien notes that current research isn't strong enough to support any of the at-home methods for turning a breech baby, some care providers will attempt to turn a baby externally after 36 weeks through a procedure called an external version. According to Dr. O'Brien, the reported success rates for external version are in the range of 35 to 86 percent with an average of 58 percent. "Recent research has looked at the use of medications to relax the uterus and epidural or spinal anesthesia to increase these success rates," he notes. Can a breech baby ever be delivered vaginally? C-sections are no fun, and according to Dr. O'Brien, although almost 98 percent of breech babies are delivered via C-section in some populations, some care providers will still consider delivering a breech baby vaginally. He notes that the American College of Obstetricians and Gynecologists (ACOG), states that “planned vaginal delivery of a term singleton breech fetus may be reasonable under hospital-specific protocol guidelines" and that injuries can occur with both vaginal and cesarean delivery of breech babies. Surprisingly enough, women who have breech babies in a first pregnancy can be more likely to have a breech baby in subsequent pregnancies. Dr. O'Brien cites an 8-year study published in the British Journal of Obstetrics and Gynaecology, which found that a second pregnancy was three times more likely to be breech if the first was breech and 14 times more likely in a third pregnancy. As for me and my stubborn breech baby, she did eventually turn — right in the nick of time. But now that she's here, I have to say that I think the stubbornness is here to stay. What is an external version?